Mamma Mia Thermopolis, the heir to the throne of Genovia is a mom! According to an exclusive report from E! News, Academy Award-winning actress Anne Hathaway gave birth to son Jonathan Rosebanks Shulman on March 24. (Uh, is Jonathan Rosebanks a super charming name, or is that a super charming name? Wait. You're totally right. It is a super charming name!) 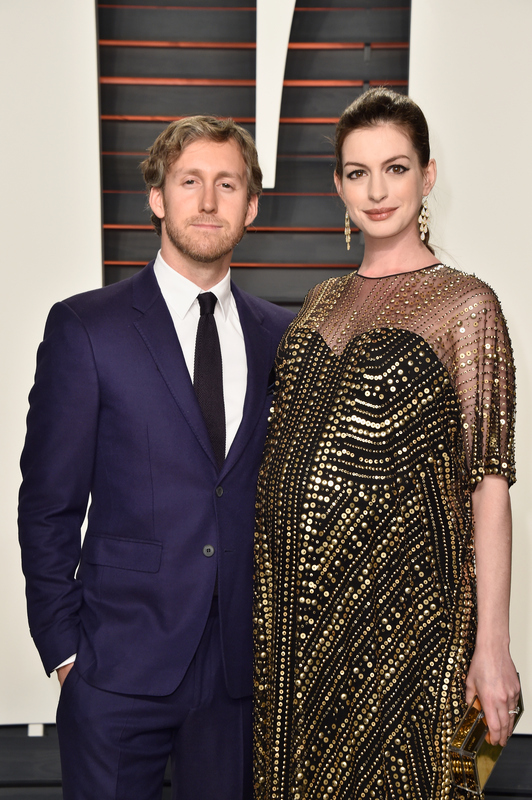 He is Hathaway and husband Adam Shulman’s first child together. Wow, it seems like just yesterday that we normal-os found out that couple would be having a baby: Back in November of 2015, the exciting news broke that Hathaway was expecting (and there was much rejoicing). And wow, it also seems like just yesterday that the movie star celebrated New Year's Day with us normal-os on Instagram: January of 2016, the The Intern star posted a photo of her baby bump that was as sweet as it was empowering (and there was much rejoicing). And wow, it seems like just today that we found out Hathaway and Shulman welcomed a new addition to their family back in March. ...Oh, right. It was just today (and there was the most rejoicing). Congrats to Hathaway and Shulman and their new son!